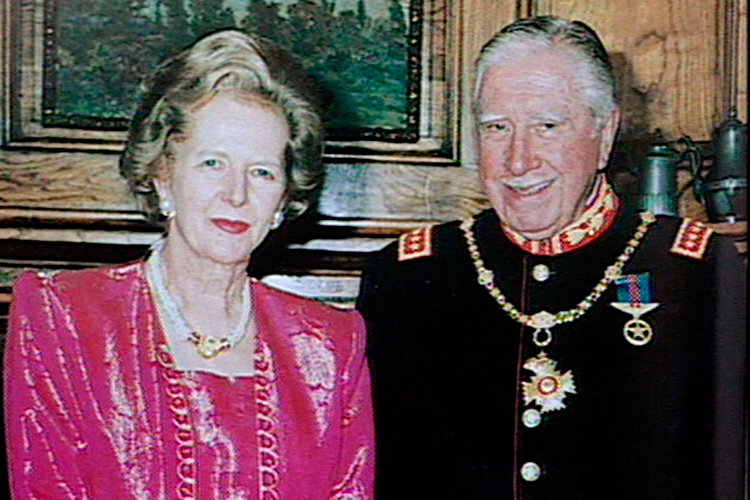 A Reuters photo of Thatcher and Pinochet at a reception in Santiago in March, 1994. The Santiago Times reports that Chilean troops will continue to serve with United Nations peacekeeping forces in Bosnia for another year, joining soldiers from 23 other nations. Chile is the only Latin American country participating in this operation. Chilean troops also work with the UN in Haiti: http://www.santiagotimes.cl/world/chile-abroad/25542-chile-to-keep-peacekeepers-in-bosnia-for-another-year. The British Foreign Office’s announcement that the southern part of its claimed Antarctic territory would be named Queen Elizabeth Land has raised eyebrows in Chile and Argentina, as both countries have overlapping claims to the region as well. The Guardian newspaper calls the move “a retro piece of neo-imperialism for Her Majesty” http://www.guardian.co.uk/commentisfree/2012/dec/19/queen-elizabeth-land-retro-neo-imperialism while the Telegraph notes that “Australia, Norway, France and New Zealand are the only countries that formally recognize the existence of British Antarctic Territory; Argentina and Chile clearly don’t.” http://www.telegraph.co.uk/news/worldnews/antarctica/9755939/Whats-in-a-name-in-Antarctica-A-lot-….html. This week I’ve been invited to be the guest blogger at http://viehebdomadaires.wordpress.com/, a blogging chain which seeks out stories from across the planet. I’ve started out with a piece on the aftermath of the Falklands War and Gabriel Garcia Marquez. If anyone out there is interested in taking up this post next week, please get in touch.